This documentary film tells the little-known story of the Crimean Tatars. It features interviews with Crimean residents, historians, survivors of the 1944 deportation, Russian nationalists, and Tatar activists, including Mustafa Dzhemilev, the leader of the Crimean Tatar people. The film recounts the rich and often tragic history of the Tatars, from ancient times to today. It is a story of betrayal, courage and, above all, hope. For despite all that they have faced, the Crimean Tatars remain undaunted in their struggle for freedom. Christina Paschyn is a Ukrainian-American international multimedia journalist based in Doha, Qatar. She is also a lecturer of journalism at Northwestern University in Qatar. She holds master’s degrees in journalism and Middle East Studies. Her work has appeared on Euronews, the Christian Science Monitor, Time.com and Time Magazine, the Pulitzer Center on Crisis Reporting, Al-Fanar Media, and Harper’s Bazaar Arabia, among other publications. 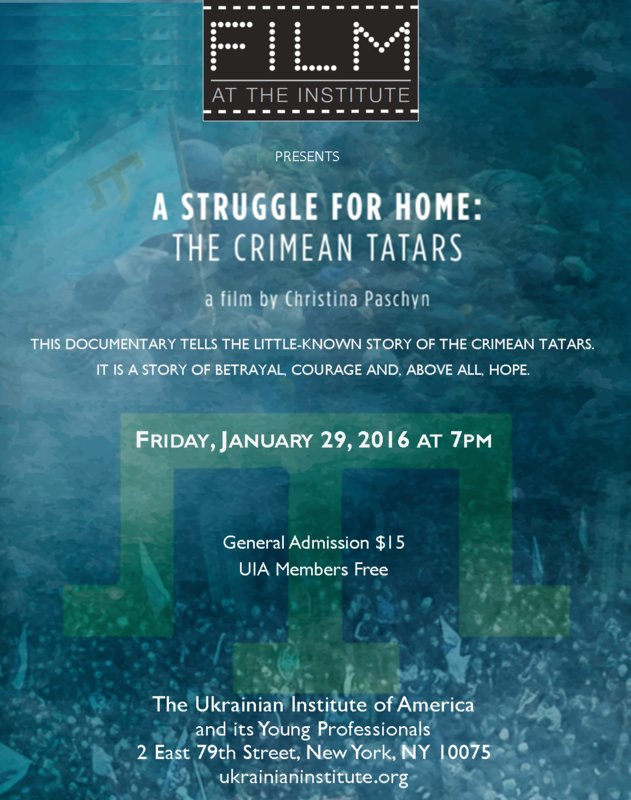 Trailer for "A Struggle for Home: The Crimean Tatars".